Business data is the life blood of any and every business. Without our sales data, client lists, and accounts information, businesses cease to make sales and invoice for their work. If you lost this data it could end your business. There are a number of causes of lost data: fire, flood, hardware failure, user error, malicious user deletion, malware, ransomware and hacking. There is no way to 100% guarantee against these events occurring to your business. 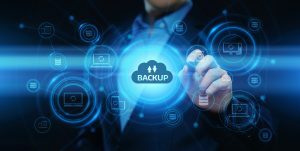 What you can do, however, is make sure that your data is backed up and that your business can continue through the restoration of this backed up data. A good backup system is implemented, functioning and tested! If you do not have these things in place, MTI are experts in getting your business data backed up, checked and tested! MTI Business Services are partnered with 2 big players in the market, Datto and StorageCraft. With various Disaster Recovery Solutions on offer, we are sure to have a solution that keeps your data safe and secure!